When you run a commercial kitchen, grease is a fact of life. In order to prevent grease fires during cooking, your kitchen hood is equipped with grease filters that capture grease and other cooking byproducts as they enter the hood’s exhaust. 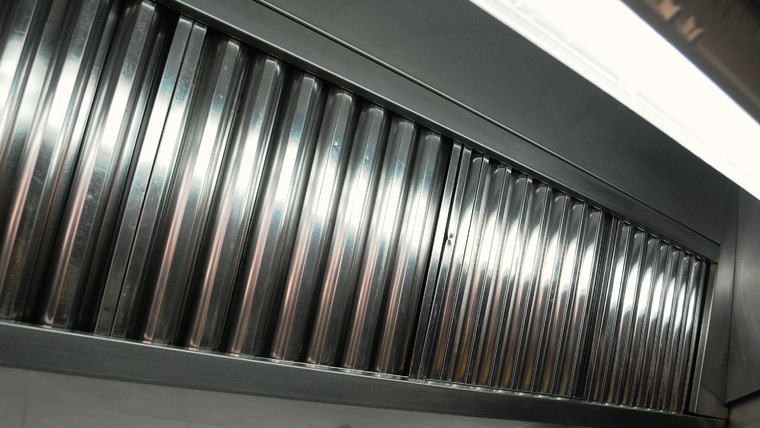 Not only do your kitchen hood filters significantly reduce the amount of grease that gets into your exhaust ducts, they also help increase the time between hood cleaning appointments. Kitchen hood filters do not last forever, though. When they reach the end of their service life, you can count on Facilitec to provide you with replacement hood filters that are UL listed and NFPA approved. We offer a variety of grease filters to meet any kitchen’s needs, no matter how specific. This ensures your kitchen’s operational fire safety. Galvanized filters are great for back-of-the-house operations as the economical, low-cost hood filter option. Aluminum filters are great for those looking for a balance between lower cost and higher aesthetic value. Stainless steel filters are sturdy, aesthetically pleasing and, due to their resistance to corrosion, they are preferred for open kitchen concepts. Spark arrestor filters are necessary for kitchens that use solid fuel systems, as they not only capture grease but also errant embers that can start fires. Not so common filters? We recommend upgrading to a Grease Lock fiber filter. Your commercial kitchen will be even easier to maintain with these convenient, disposable kitchen hood filters. Facilitec West is a highly trusted brand with an extensive client base in California, Nevada and Arizona, the vast majority of whom are restaurants. For more than 30 years, we have been industry leaders in kitchen hood cleaning, rooftop grease containment, surface cleaning and NFPA compliance services. 100% of our work meets or exceeds NFPA 96 standards. We are confident that the job we do will be done right. Call us today at 888.463.2293 to get your replacement kitchen hood filters and keep your business code-compliant and fire-safe.